Consulting T4T Educational Services, LLC is a socially responsible organization formed by a team of professionals who share and defend a holistic view of the educational work of teachers. 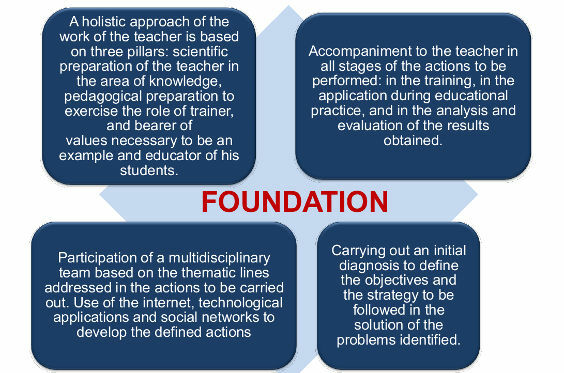 Its work is directed to the development of training and research activities through a strategy of support to teachers and educators. Our Goal is provide, develop and promote advanced studies in the field of education and educational sciences, taking care of the needs of educational institutions and teachers, through a role of accompaniment in all their teaching work. To promote educational innovation as a premise of a quality education according to the demands of the current era. engineers, and other specialists in the areas of general pedagogy (from preschool to university level), specific didactics and educational sociology. Master of Education Technological University of Havana, Cuba. Licenciado en Psicología, Universidad de La Habana. Especialista en educación y desarrollo de la primera infancia. Five years’ experience as Director of LCS.